Take the Selfie Tour! 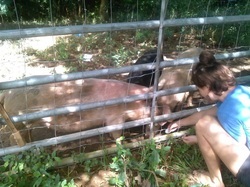 Want to tour the farm? Grab a print of the self-guided interpretive farm tour map, 10am-4pm Mon,Tues,Wed,Fri, or Sat! Our farm is closed to visitors Thursdays and Sundays unless by appointment only or if you are staying on the farm. Admission is $10 per person for self guided map, $5 for children and senior citizens. You can keep the beautiful hand painted watercolor map by artist Terisa "Wren" Shoumate! Contact us for group and student rates. Take an insightful and delightful walk with a farm staff member to learn about the farm, its mission, and see first hand the inner workings of our certified organic system.See the fruits, animals, and plants that make our farm thrive and keep us happy. Taste test crops while standing in the 100 person Community Supported Agriculture (CSA) fields! Also get an inside look of the solar powered off-grid community center, the Taino inspired bohio hammock house, treehouse, talapia pond, and more! *Must receive confirmation email for it to be booked. RSVP below. Please note that RSVP's must be confirmed beforehand, as we are often busy farming! Self guided map tours are 10-4 M,T,W,F,Sat. They are by entrance to community center building. There isn't signage around the farm so the map will really help. We look forward to seeing you, and thanks for understanding that we are working hard for the food! 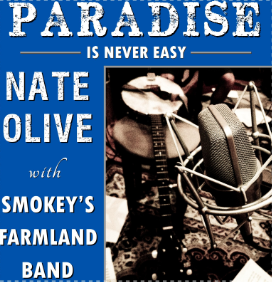 A FIRST PRINT selection of 5 of Nate Olive's originally composed and performed songs scratched out of the soil in a search of a gritty reality in a sea of hard earned lessons, fleeting crops, & a fool's idea of paradise. Recorded live with Smokeys Farmland Band at Aqua Sounds Studio in Christiansted, St. Croix. 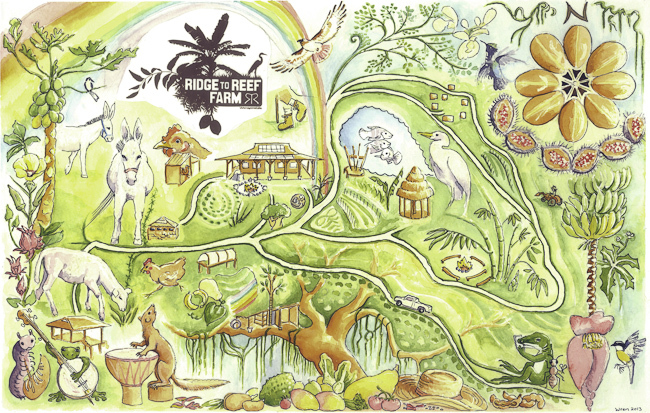 Proceeds benefit Ridge to Reef Farm, the only certified organic farm in the USVI, who is striving to feed 1% of the territory's population and to inspire peacefulness for the people, the land, and the water through an intentional labor of great food. Price of this limited edition first printing (of 500) includes autographed CD in eco-friendly sleeve packet & FREE domestic shipping first class. International Rates and expedited shipping are additional. CD are shipped twice a week, when we get off the farm and go into town. Thanks for supporting our farm and please enjoy the music!